Being part of the Avenger family, these kits still containt virtually every component you will need for installation. And, yes, it programs in under three minutes with the included handheld--no laptop required. But this branch of the family features multi-point fuel injection with 1000 CFM throttle bodies. As always, included fuel pumps, injectors, pressure regulators are all included and sized to perfection so all you have to so is install and go. All of the Holley Multi-Point Fuel Injection Kits include the fuel-injector ready intake manifold and are therefore application-specific. If you do not see your application listed below, don't lose hope--you can still equip your vehicle with Holley Multi-Point Fuel Injection! If you are starting with an engine that has a standard square-bore or spread-bore carburetor, choose one of the Universal EFI Retrofit Kits. These are very similar to the kits listed here, but instead of including the intake, it includes all of the components you will need to turn your existing manifold into a multi-point fuel injection manifold. 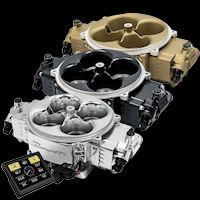 If your starting point is some other engine/fuel system, consider the Holley ECU/Harness Kits. 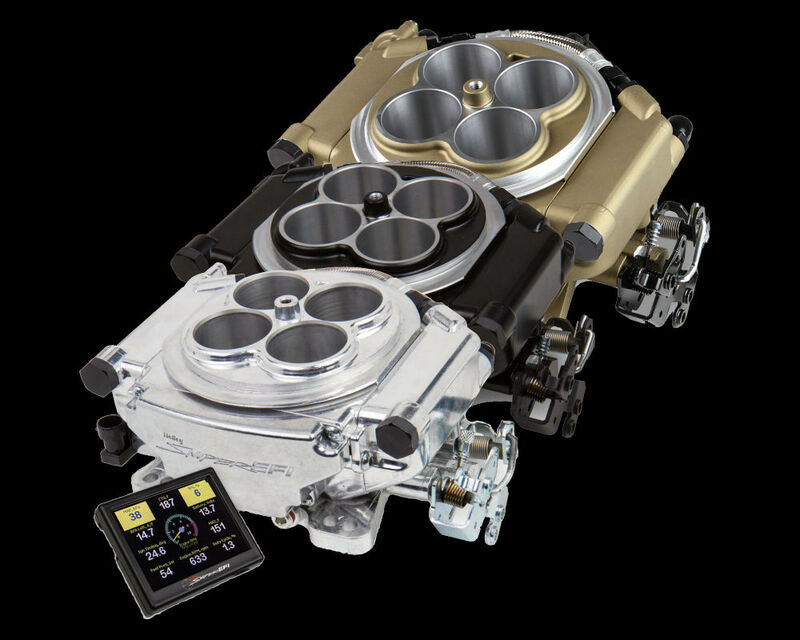 Holley Avenger Multi-Port Fuel Injection Kits include virutally every part you will need for your install. You will need to source an adequate amount of fuel hose and steel fuel line for your particular application. The fuel line is required for those applications where no return line exists from the engine compartment back to the fuel tank, as EFI fuel pumps are regulated by returning excess flow to the tank. A 50 psi fuel pressure gauge will ensure that your fuel system is working as required, or optionally you can purchase a fuel pressure sensor (see our Sensors page to find the sensor that will allow you to constantly monitor fuel pressure when your Avenger system is running. 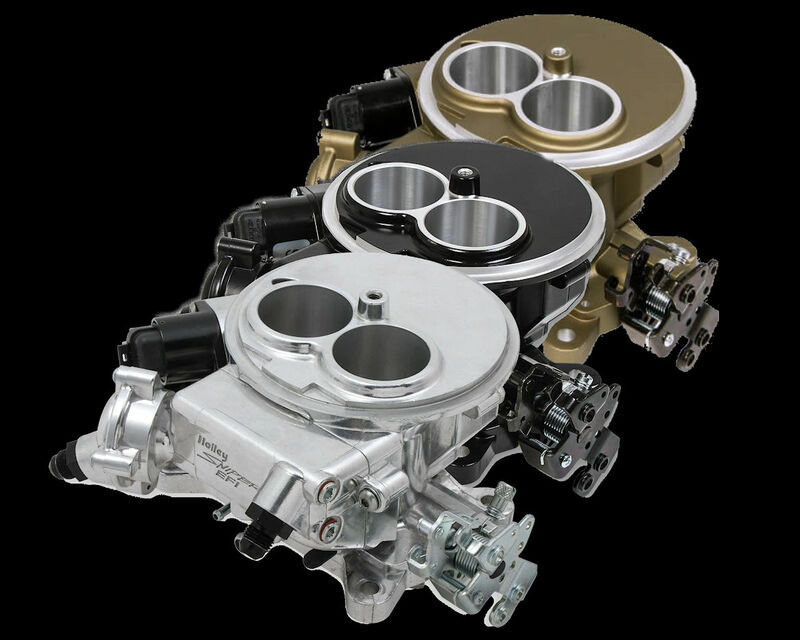 Avenger Multi-Port EFI systems for small or big block Chevys are ready for the street or strip wit..